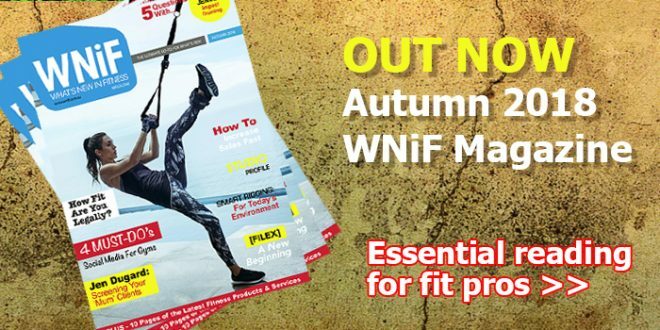 The new Autumn 2018 edition of the What’s New in Fitness magazine gets right down to business with straight forward and relevant industry news and resources to better inform you. 29 Increase Sales – Fast! There is nothing that limits your possibilities except your imagination. Health clubs and studios thrive by delivering functional and engaging spaces. Member engagements flourish when facility design and results driven programming align. WNiF are on the look out for clubs to feature in their Club or Studio Profile section for 2018 editions of the magazine. To submit your club/gym/centre/studio for consideration, email craig@wnif.com.au.